In this artwork, I use a sketchy technique. I also make use of very short brush strokes. Dog Jerry: "Shall we go out now?" 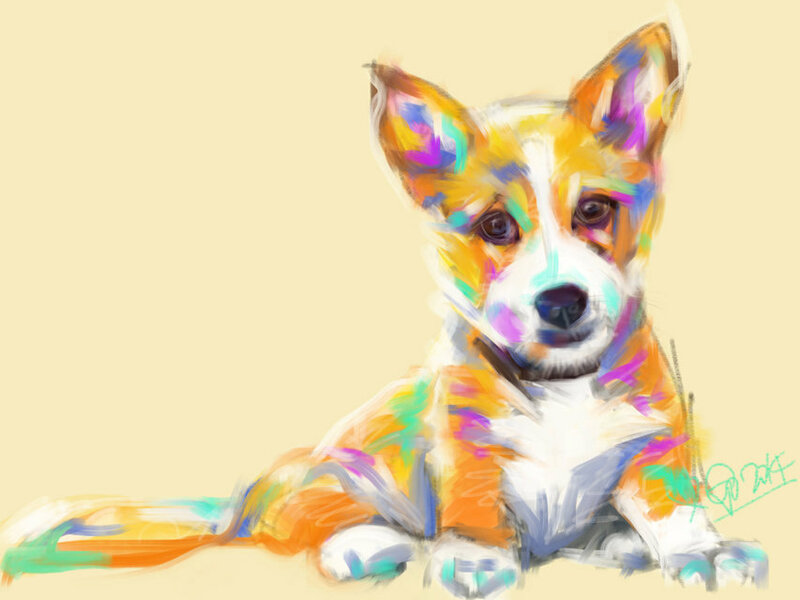 Dog, Dogs, Dog Art, Dog Painting, Dog Paintings, Digital Dog Art, K9 Art, Canine, Canine Art, Dog Jerry by Go van Kampen.